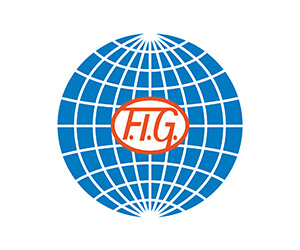 We are pleased to inform you that the Directives and Appendices for the 49th FIG Artistic Gymnastics World Championships in Stuttgart (GER), which will take place from 4 to 13 October 2019, are now available on the FIG website (enclosed as well). We kindly invite you to pay particular attention to the different deadlines and to respect them. Many thanks in advance. We remain at your disposal for any query and thank you for your attention. We have the pleasure to inform you that the the English version of the Gymnastics for All Manual, 2019 edition, has been published on the FIG website, here. The French version will be published shortly. We have the pleasure to inform you that the English and French version of AER Newsletter #4 have been published on the FIG website in the “Aerobic Gymnastics” section under “Newsletters”. You may click here to access this section. You may access the Rules section of the FIG website here. The 17th World Gymnaestrada has been allocated to Amsterdam, the capital of The Netherlands. After the decision was taken unanimously by the International Gymnastics Federation’s (FIG) Executive Committee during their meeting at the federation’s headquarters in Lausanne (SUI) on Wednesday, FIG President Morinari Watanabe (JPN) and Monique Kempff (NED), President of the Royal Dutch Gymnastics Federation (KNGU), signed a corresponding agreement for The Netherlands to host the 2023 World Gymnaestrada. With Rotterdam having held the inaugural World Gymnaestrada in 1953, the FIG’s Gymnastics for All flagship event will be returning to the country of its birth 70 years later. Amsterdam itself acted as host city for the 1991 edition, meaning that this will be the third time for The Netherlands and the second time for its capital to host this festive event. The World Gymnaestrada is the biggest event on the FIG calendar and attracts around 20,000 participants every four years. The 17th edition is scheduled for 6 – 12 August 2023. While the iconic Olympic Stadium will stage the opening and closing ceremonies, the RAI Amsterdam Convention Center will be at the heart of the event, hosting the FIG Gala, and group and national performances. Open stages at striking locations throughout the city will provide a platform for the staging of a diverse range of performances. The World Gymnaestrada, with its non-competitive nature based on the principles of “friendship, fun, fitness and fundamentals”, fits well with Amsterdam’s overall sports for all policy that embraces a healthy and social lifestyle, and the city is committed to promoting the uniqueness and diversity of Gymnastics.